Arhtur Chrenkoff has Good News From Afghanistan #13 up and this is an absolute must. It should be kept. Cross-posted here and here. Bill, at INDC Journal posts on the current climate of Religious Bigotry and how far that kind of weather is spreading. The second Cotillion Ball has arrived, hosted by Merri, Housewife and American Princess. Required reading. It also seems the ladies have received their Tiaras. Frederick Turner at Tech Central Station writes on the motives of the Whines outing the C.I.A. 's charter flight services. Also posted by Mr.Kurtz on May 2. Welcome Ladies of the Cotillion ! 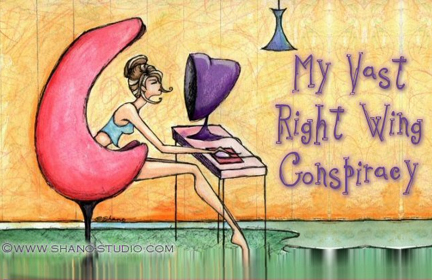 Fronted by Blog Mistresses Jody, of Steal The Bandwagon, Beth at MY Vast Right Wing Conspiracy and Janette of Common Sense Runs Wild; here is a marvelous association of conservative ladies who cover it all. The (so far) complete blogroll is immediately to your left (sorry girls) on the page. So if you want to look at the pretty pictures come back after you've visited every one. Y'all go on over to Beth's and see her makeover. Stay awhile. 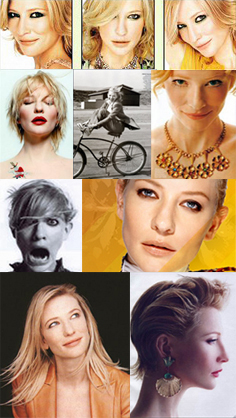 Happy Birthday Catherine Elise Blanchett! Born this day, may 14, 1969. Characterized by her unique beauty, her fidelity to herself, her family and her craft. her astonishing range and total dedication to the character enriches every work in which she participates. May there be many more. On her One Year Blogiversary. Goddess of WTW, Oracle of Wit, Compassion and Truth. And just look at those uh, eyes. How can you resist? Now y'all git on over there now and show some respect!